The Red Nail cocktail is simply vodka with Campari. 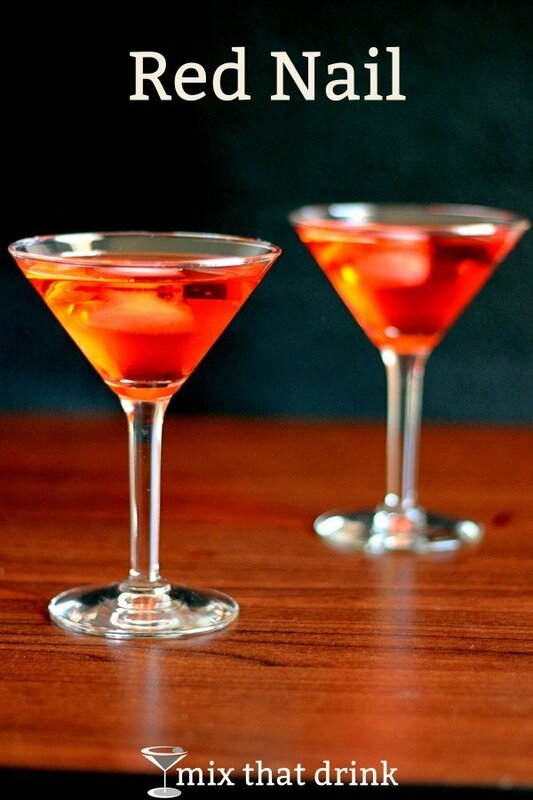 People tend to either love or hate Campari, which can probably best be described as a very dark cherry flavor that’s bitter, or cherry with a touch of bitter orange. It can depend a bit on the brand. How you feel about it probably depends on how you like bitter flavors. If you love arugula, for example, you might love Campari. Whatever the case, if you enjoy the taste of this one, it’s great for sipping along as an alternative to wine. Put a few ice cubes in a cocktail glass. Add vodka and Campari to the glass. Ideally, let the drink sit for seven minutes before serving.